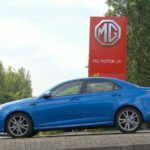 Derived from the MG6 five-door hatchback, MG Motor UK MG6 Magnette Saloon is, according to the promotional material, entirely British. It was conceived here, designed here, engineered here - and apparently even built here. It’s as British as fish and chips. Or rain during a caravan holiday with your wife and mother-in-law. Except it isn’t. Not really. And this is where some of the criticism has come in. Although the car was certainly styled here in Britain, it was actually built all the way over in China by the same company which owns MG Rover. Then, it was packed off to our green and pleasant land where a geezer fitted an engine. It isn’t really British, and therefore expectations should be managed better. The benefit of a car such as this being exported over, though, is that it’s going to be cheap. Cheap - but any good? Is this just another substandard product that is priced so low you don’t even care if it falls apart while you’re filling up several shopping bags in Tesco? 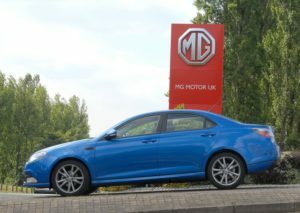 OSV takes a closer look to find out with our MG Motor UK MG6 Magnette Saloon review.